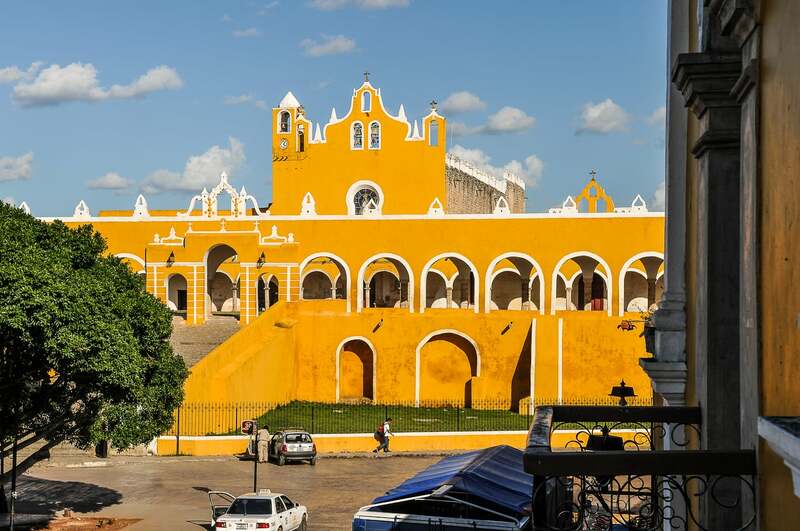 All of the action in Izamal radiates from the striking Convento de San Antonio de Padua (Convent of St. Anthony of Padua). 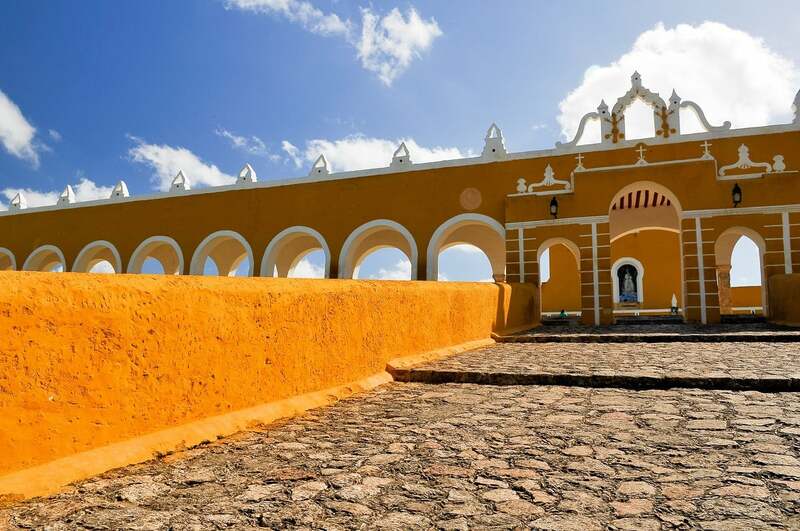 Long before nearby Merida’s rise to prominence, Izamal was the grand capital of the Spanish Yucatan. In the 16th century, the city held much significance for the colonial government (and Catholic church), which is evident in the city’s grand structures. The main colonial structures were built atop sacked Mayan pyramids, and the convent was built upon the main Mayan acropolis, indicating that the city site held some significance within the former Mayan empire as well. 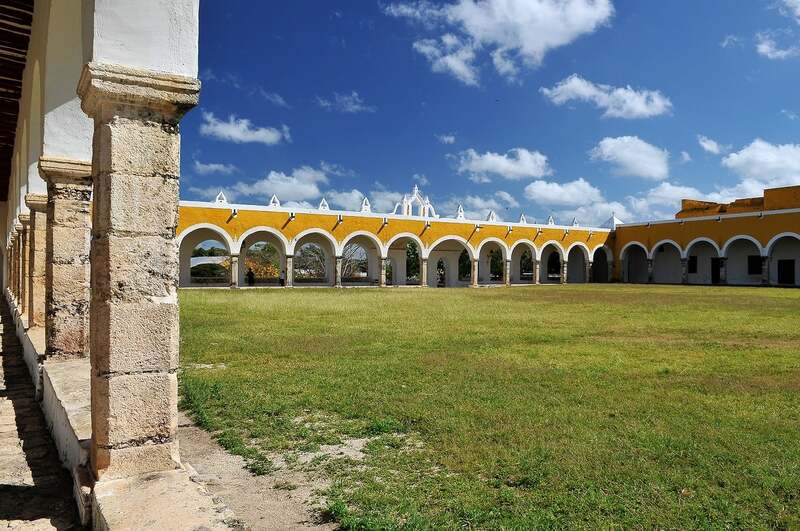 The convent dominating the center of Izamal remains significant today for several reasons. For starters, it has one of the largest enclosed atriums in the world (second only to the Vatican!). It is also a popular pilgrimage site for many Catholic faithful who believe that many of the statues of saints inside the convent perform miracles. Last, but not least, it was visited by Pope John Paul II in 1993, who crowned and blessed a statue of the Virgin Mary in the main chapel, also making it a popular destination for pilgrims. There is no entrance fee to walk around (though a donation is suggested) and there are guides on hand to offer historical perspective. Our guide insisted that we have a photo taken in front of a massive painting depicting the Virgin Mary—apparently it’s what all the cool visitors/ pilgrims do. Not to be missed is the rousing light show in the atrium, held every night after sundown. In addition to numerous well-preserved colonial structures, several Mayan structures have endured and can also be explored. 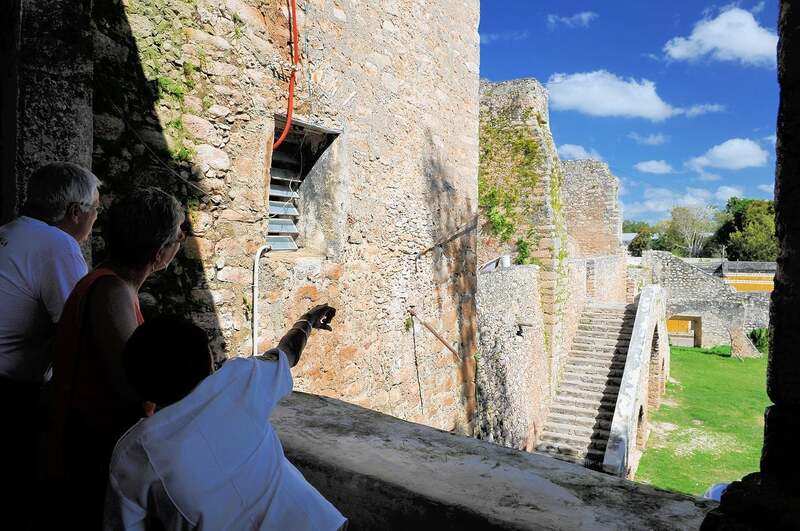 While none of these are near as impressive as the structures in nearby UNESCO site, Chichen Itza, visitors can actually climb to the top of Izamal’s ruins.